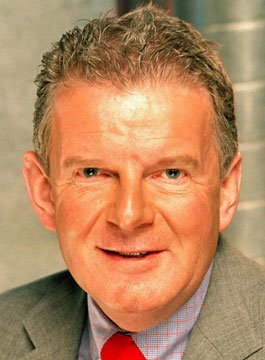 John Motson OBE is one of the best known personalities in sports broadcasting having worked for the BBC for over 50 years. After an apprenticeship on the Barnet Press weekly newspaper, John Motson moved to the Morning Telegraph in Sheffield where he first covered league football. A short freelance spell with BBC Radio Sheffield was followed by a move to network radio in 1968, where on Radio 2 (then the sports channel) he presented sports programmes as well as commentating on football, tennis and boxing. In 1971 John was taken on as a junior member of the Match of the Day team and from there became a regular contributor not only to Match of the Day but also to Grandstand, Football Focus and Sportsnight. Between 1979 and 2008, John was the BBC’s voice on major cup finals including his record-breaking sixth World Cup Final in Berlin in 2006 and his 29th FA Cup Final in May 2008, an achievement not reached by any other commentator. He has also researched and narrated over 30 football videos and written a number of books, including Motty’s Diary – A Year In The Life Of A Commentator. In September 2017, Motson announced that he would retire from the BBC at the end of the current football season. As an after dinner speaker, John Motson has an incredible knowledge of football. His style can be described as anecdotal, entertaining and insightful.